Goldsboro is in the heart of Wayne County, in Eastern North Carolina, and one of our favorite places to spend a weekend. The small town prides itself on the 4 Ps: Pigs, Pickles, Planes, and Poultry. These Mount Rushmore-esque pillars of the community deserve attention because of their importance to the area, but also because we like them. So that’s why we’re laying out this homage to the four Ps of Goldsboro. Oh, and if you read all the way to the end, you’ll find a little something extra added in, too. 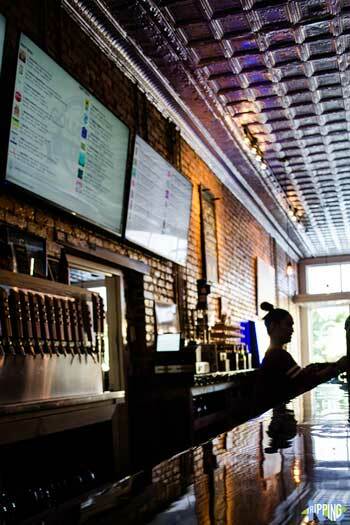 We included these things and more in our guide to a weekend in Goldsboro, too. Also, check out more in our Goldsboro section. 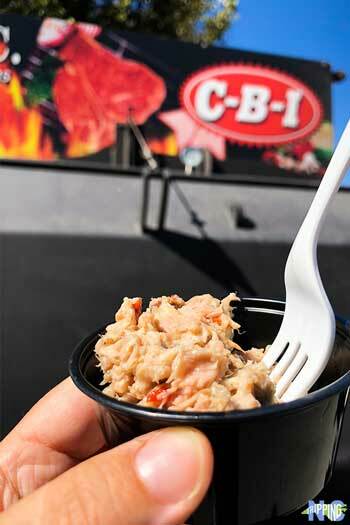 We sampled quite a bit during Goldsboro’s Taste of Wayne. Btw, you should go if you haven’t been before. It’s in October! 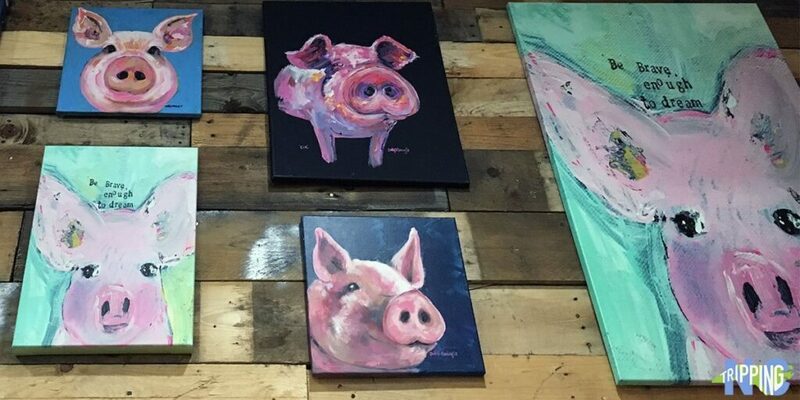 Food is a big deal throughout North Carolina and Goldsboro’s pigs support a lot of it. 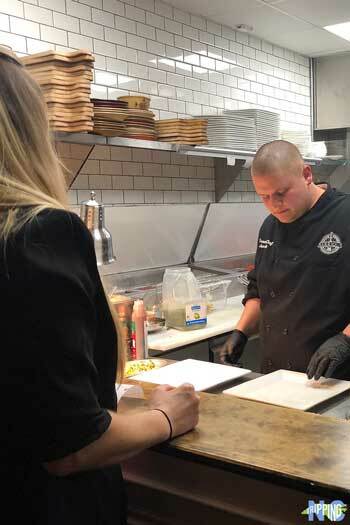 Not only do Wayne County farmers play a part, but there are some awesome pig-heavy restaurants worth mentioning, too. 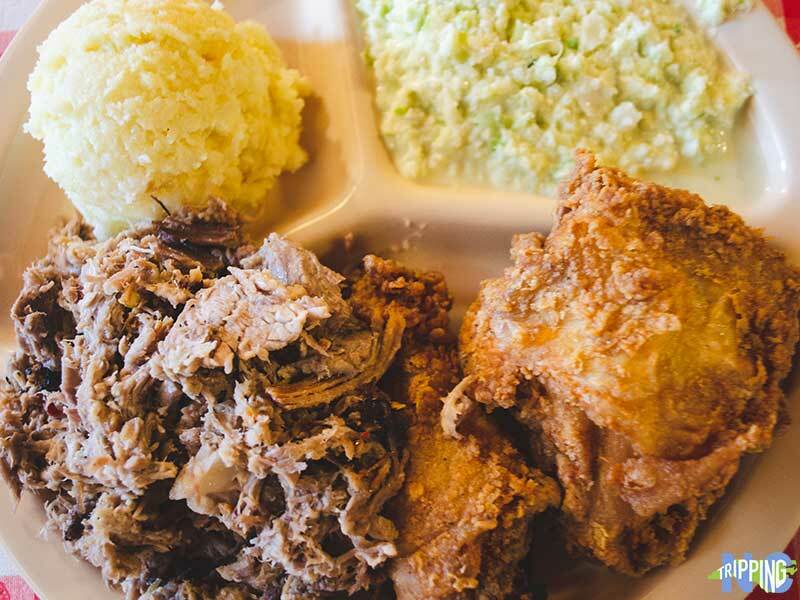 Wilber’s Barbecue in Goldsboro and Grady’s Barbeque in Dudley are both found on the NC Barbecue Society’s BBQ Trail, which spans from the mountains to the coast. For even more background on this NC staple, check out Holy Smoke: The Big Book of North Carolina Barbecue by John Shelton Reed. Wilber Shirley of Wilber’s has been serving up whole hog barbecue since 1962. Wilber’s is a popular stop for flyers from Seymour Johnson but also for folks on the way to the beach. During the peak of summer, Wilber’s will smoked up 100-125 pigs a week! Not to be overshadowed by the barbecue, don’t forget to order Goldsboro’s other “P”—Poultry! Wilber’s is also known for their buttery delicious fried chicken. If you can’t watch the Pickle Drop on New Year’s Eve, then you definitely cannot miss the NC Pickle Festival! 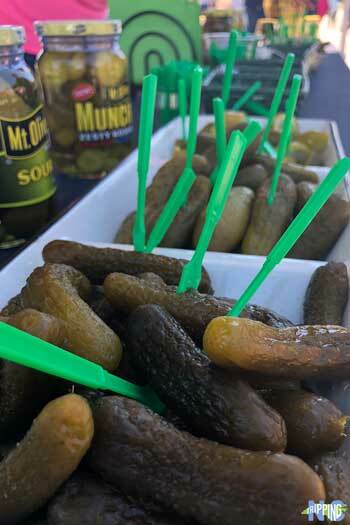 Occurring downtown every April, Goldsboro fills with thousands of pickle enthusiasts! Whether it’s to watch (or participate!) in the Pickle Eating Contest, Tour De Pickle (25, 53, or 75-mile bike races), or the Cuke Patch 5k there is plenty to experience! Not in a competitive mood? 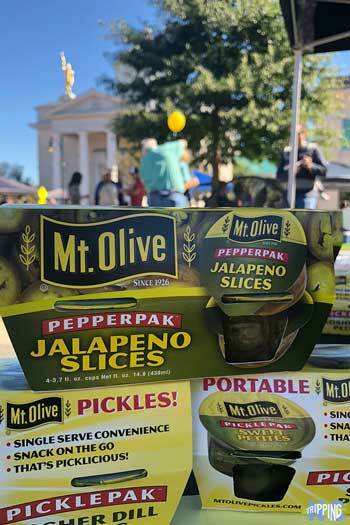 Downtown is packed with events, special vendors, and all things pickle! 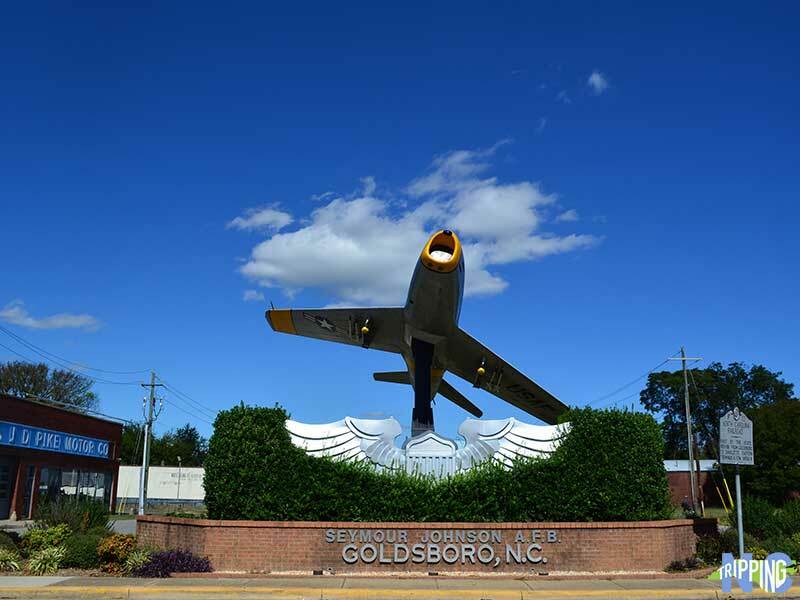 Planes make the “Four Ps of Goldsboro” because of Seymour Johnson Air Force Base, a training and operational mission base with the world’s largest inventory of F-15E Strike Eagle planes. These planes are critical to the national defense and are capable of deploying worldwide on short notice for combat. Public tours of the base are available once a month and preregistration must happen three weeks prior to your visit. Every two years (odd numbered years) Wings Over Wayne Open House and Airshow takes place in April. Air shows performed by the USAF Thunderbirds, the US Army Black Daggers, Tora! Tora! Tora!, The Combined Arms Demo and more as well as dozens of aircraft on display on the ground including the F-35 Lightning II, F-22 Raptor and F-16 Fighting Falcon. You’ve gotta get that fried chicken at Wilbur’s! What’s on your Thanksgiving table every year? I bet it’s a Butterball turkey! Carolina Turkeys (formerly Goldsboro Milling Company) is based in Mount Olive and bought Butterball in 2006, which means the largest turkey brand lives in Wayne County. Case Farms is one of the largest employers in Wayne County, with two processing plants, a hatchery, and a feed mill producing one billion pounds of poultry products a year. Another reason “Poultry” makes the “Four Ps of Goldsboro” is because of the NC Poultry Festival. Every September, Goldsboro throws a celebration to recognize their poultry heritage by showcasing local artisans, vendors, and all things poultry! 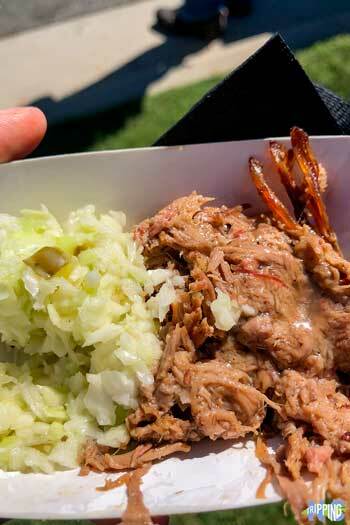 From a Beak Week Beer Run to a Food ‘Cluck’ Rodeo, a good time is had by all at the NC Poultry Festival. Tending bar at Goldsboro Brew Works. Folks working hard at Barrique. The four Ps of Goldsboro deserve a lot of credit for everything this small town has to offer its citizens, but I think we’re leaving out one crucial component—the People of Goldsboro and Wayne County. These are some of the hardest working and proud people, but also among the friendliest that we’ve encountered while traveling through North Carolina. 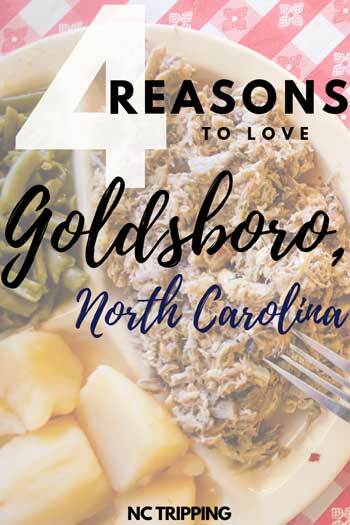 That combination is why we thought you couldn’t mention those other four Ps of Goldsboro without including one more. What do you think, though? Got a favorite of the four Ps of Goldsboro? We’d love to know about it in the comments section. And if you want to tell us about it over some barbecue or pickles, we’d love to meet up sometime! This entry was posted in Travel and tagged Food, Goldsboro, Wayne County.